Should Self-Published Authors Pay For Reviews? 1. FINALLY! I’ve been waiting for high quality websites who specialize in self-published book reviews written by professional reviewers to emerge as the gatekeepers of the self-publishing industry. 2. WHAT? $395 to get your book reviewed within two months? $495 to get your book reviewed within one month? That’s a lot of money that traditionally published authors don’t have to fork out. However, companies like Blue Ink need to pay their reviewers, and it takes a lot of time to read and review a book. They need to pay reviewers at least a couple hundred bucks per book to make it worth their while, and they need to make money themselves. So for a company that is not relying on advertising and subscription fees to pay its employees, the price is right. Overall, I think companies like Blue Ink are a good thing. They give self-published authors the opportunity to have their books reviewed by reputable book reviewers. If those reviews are positive, the authors can use them to market their books and possibly even land book deals with traditional publishers. If they are negative, well, they’re out an iPad. 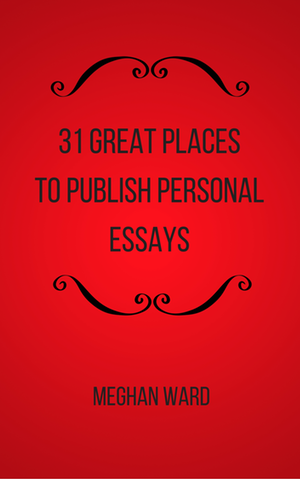 33 comments to Should Self-Published Authors Pay For Reviews? Kirkus and Publishers Weekly have separate programs within their organizations with a similar deal: Pay like $400-500 for your self-published book to be reviewed. They guarantee it will be read but not that you will like what they have to say about it. And Kirkus and PW already have industry credibility. That said, a lot of average readers have no idea what they are. So with that in mind, I think for self-published authors, it's probably a better investment/value to find book bloggers who will review your book for a free copy. Also, book bloggers have their own followers, but what credibility/cache does Blue Ink have? Kristan, Good point about Kirkus and Publishers Weekly. I didn't know they reviewed self-published books. I think it must be a challenge to get reputable book bloggers to review self-published books (if you're not friends with them). So for those people who don't have that option, Kirkus, PW or Blue Ink may be a good option. But you're right – why use Blue Ink when you can go with PW or Kirkus? Doesn't it seem like a bit of a conflict of interest to pay someone to review your work, though? Your post makes me wonder: wouldn't it be great to have a credible site to go to to find out what's new and what's good in self-published work? Basically someone to wade through it and do some quality control for readers. There's a niche that's unfilled so far as I know. As a reader and consumer, though, I'd take any review with a grain of salt if the author had to pay for it. As for the conflict of interest – I have a couple of comments. First of all, I don't think it's a conflict of interest to pay for your review. I review books for the SF Chronicle, and they pay me, so either way the reviewers are paid and that shouldn't impact their objectivity. I don't think the fact that the author pays for the review should change that. However, a friend of mine who commented on my FB page, had a few great points about this, and I'll post his comment below. (He gave me permission). As for a credible site that does this, there are sites that review self-published books (like http://www.selfpublishingreview.com), but no one blogger has the time to read all those self-published books for free. If they contract out, it will be difficult to get credible to do it for free unless the site is really high quality (HuffPo and The Rumpus are two sites that come to mind that don't pay their book reviewers, and I'm sure there are many more.) The best way to get quality reviews is to pay the reviewers. You write for the SF Chronicle and you don't see the conflict of interest?? The author isn't paying the Chronicle for the reviews! I guess people have been paying for reviews obliquely for a long time: only big-money publishers ever get books reviewed by the big-money review mags like the NYT book review, the New Yorker and People. On the other hand, as a reader, I'm with you: I'm not sure I would trust a review-for-hire. I prefer hearing about books on sites where a group of readers contribute reviews for free, like the Women's Fiction blog, or Book Chick City. Anne, I agree with both of your comments. And now I'll post my friend's comment, which explains why he thinks Blue Ink reviews will not be subjective. I disagreed with him at first, but after reading the following points, I think he's right. Christine, it is expensive. I was shocked when I read the price. I assumed it would be around $100. 1. BlueInk begins to see that if they make their reviews more positive (within limits, or they lose their credibility) they get more business. 2. They can't outright tell their reviewers to start writing more positive reviews, but they do notice that some tend to be more positive naturally than others. 3. They start funneling more reviews to the more positive reviewers. At this point, I think there's already a problem, but it can go even further. 4. The reviewers begin to notice the pattern, and begin altering their reviews to vie for a bigger piece of the pie. I think self-published books aren't going to find legitimacy until there is an well-respected arbiter of what's good and what's not good to separate the small amout of wheat from the huge amount of chaff. Which means a blog/website that is viewed as fair and impartial that doles out criticism/judgments/possible unpleasantness about the quality of the work they see. Where is that person/blog/website? Doesn't yet exist, as far as I know, and good Lord, who wants that job? Picking through the garbage to try to find the one diamond ring that accidentally got tossed out? (Talk about thankless work, especially if you're not getting paid to do it!) This arbiter of literary taste and decency would have to be on par with something like the ALA or the NYT. Or failing that, the actual ALA and NYT would have to open up to self-pubbed books on a routine basis and provide reviews. But why on earth should they do that when there are more than enough books flowing from the Bix 6 to keep them all busy? And btw, where would these Blue Ink-type reviews even appear? On the virtual cover flaps of ebooks? On the authors' websites? What good would they really do for a self-pubber, especially if people don't know if these aren't just reviews and blurbs from "vanity reviewers" (there, I get credit for coining that term henceforth). Why pay for a review that is essentially meaningless to a reader? Again, for reviews to be meaningful, the reviewer him/herself (or the publication for which they are doing the review) must be a well-known and respected figure. KLM, I agree that word of mouth is more valuable than reviews, but I do think authors could post reviews from reputable sites on their websites and other promotional materials. Maybe Publishers Weekly or Kirkus is the best bet at this point, though. Message in a bottle...of Fred Sanford's Ripple. You sound like such a snob. More and more writers (with sense) are leaving the big 6 to self publish because that’s where the $ is at. Big 6 gets the NYT but 90% of their authors can’t even quit their day jobs. YOU, KLM earn 14.9% royalties on ebooks for example, where self published authors earn 70%. Who’s the fool now? And it surprises me that with all those connections and NYT and Publisher’s Weekly, and, and COOP (where publishers PAY Barnes & Nobles $ to place their author’s books at the front of the store. And here I thought bookstores did it just because they thought the books were great. Ha!) that more of their authors would be able to sustain themselves through writing books for the Big 6. Strange. And your books have been well-edited and judged by the “highest stands of literary decency”, and yet you still can’t make decent living, the lot of you. Only Patterson, King, Meyer, and a few others benefit from the Big 6. The rest of you are pathetic. Great discussion on a controversial topic! I feel that self pub writers can do a lot better getting reviews than they do. They can put them on the back cover, the back of a bookmark and online wherever they may have their book posted. Take the topic of the book and look for significant people in that field to do a review. Mystery writers could approach police/forensic or coroner departments, romance novels might ask counselors, elegant people in spas, cosmetics or clothing lines, cookbooks could ask chefs in restaurants or cooking school teachers and so on. Obviously the person reviewing will be credited and their work place or position can be mentioned (the same a media person is) or in the police or other public institution credit goes to them or one might consider a donation to a charity they are involved with from the first 100 book sales. Book selling is as commercial as cereals or milk and we self pub writers need to be creative. I've done this myself and coach other writers who have had success. The success in getting reviews that entice readers to buy the book depend on the quality of the book story and writing! therein lies the problem for many. Toni – This sounds like a great idea for getting Amazon reviews, but when looking for blurbs for the back of your book, you ideally want to quote other authors. I don't know that blurbs written by police, counselors and people working at spas are going to help you any more than reviews written by Aunt Susie and Uncle Joe. But I agree 100% with you that "book selling as as commercial as cereals or milk." Thanks for your perspective as a self-published author! Thanks to Blue Ink. wow, those other book reviewer cost a lot. It is astounding how much some of them charge, especially if you want the expedited service. Heya! I just wanted to ask if you ever have any trouble with hackers? My last blog (wordpress) was hacked and I ended up losing several weeks of hard work due to no data backup. Do you have any methods to stop hackers? Personally, I think it's a bit of a scam. If I run through the recently reviewed fiction books, they are all selfpublished through author service sites (which I am weary of to begin with) and if you then google all those books and look at their amazon rating, it is clear that they haven't made a sale in months. In fact many of them don't even have a goodreads page. It's almost impossible to understand what's going on here, but it's NOT informing the public about good indies. thank u for your value information u share with us. Thanks once more and I’ll be back quickly. I had no idea that authors paid that much for reviews. sad really. I would endorse to declare recognize for imparting this stupendous report. We can't endure this forgiving of illumination from. Now, I also think that Authors should pay for Reviews. Well, if they paid those reviewers the couple hundred you mention, and give them more time to read and digest and comment on the book, I'd trust the review much more. But that's not how the numbers work. I entered the world of writing 9 months ago (picture books), and what I'm reading here and elsewhere is VERY discouraging! I knew the field was highly competitive, but, to need at least 5,000 Twitter followers? How does that make me a better writer – or make a young child enjoy my stories all the more? Why is a popular vote necessary for someone to publish my writing? For a person like myself – who has always been a member of the "B" group – winning a popularity contest is something I'll never do, but – people have always made positive comments about my writing. One time, I sent a press release to Sports Illustrated – and received a few scoffs from friends – until SI called from New York, to say they were going to include it in their Faces in the Crowd section (I still have that issue), so what did that have to do with my number of Twitter followers – NOTHING!!! Come on, writers, authors, publishers and agents – look at the God-given talent first – not the person's Internet savvy!! !